1 Bedroom Terraced House For Sale in Gravesend for Guide Price £240,000. This property's price has dropped from £280,000 to Guide Price £240,000. 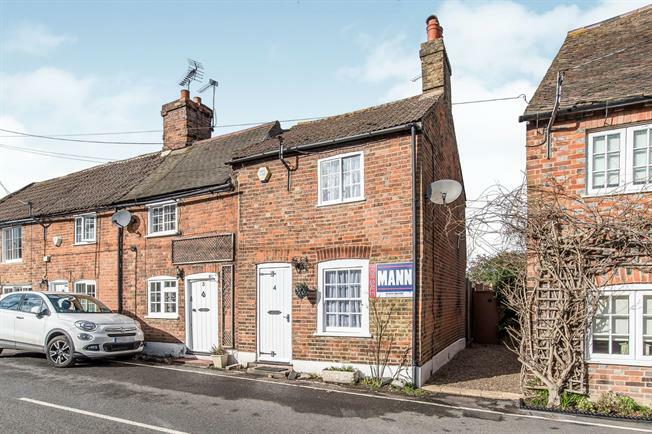 Offered to the market with no onward chain is this 1 bedroom with a separate study, picturesque cottage situated in the idyllic village location of Shorne. The charming accommodation comprises lounge/diner, kitchen and access onto the courtyard rear garden. To the first floor there is a master bedroom with a smaller study room which could be a spare bedroom and a shower room. The property is perfect for anyone looking for a country style cottage with all of the charm and character that you would expect, call now to view.